Buying a home is a unique process and not one in which the average home buyer has the expertise or a lot of experience. That is why when you are ready to take the crucial step to become a homeowner, it is wise to enlist the help of a professional – a Realtor or real estate agent who not only has your back but who has the experience and expertise to get good results on your behalf. Here’s how to find that important advocate as you plan to make the investment in home ownership. There are lots of real estate professionals in pretty much every market. 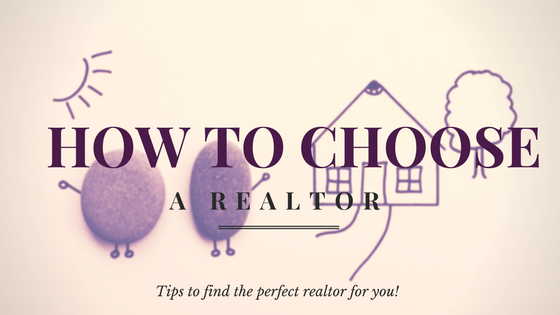 Look up some local agents in the area you want to purchase in, check their online listings, ask friends and neighbors for recommendations and choose a few to interview. You will not be best served by someone who moonlights in real estate. You want to find someone who knows and has experience in the local market where you want to buy and live. Look for an agent who specializes in that local market and who makes the work their profession, and take a look at recent properties he or she has been involved in listing and selling. An experienced agent will know about the lifestyle resources you can expect in an area – the schools, recreation, local businesses and cultural features. They will also have cultivated a network of other professionals such as building contractors, plumbers, electricians, handymen, etc., to refer you to should you need such services before moving in or at any time after. Ask about the agent’s license, certification, and training. You want a professional who is current with the real estate laws and tax ramifications, has training in negotiating, and a good head for business and investment. Ask for a list of references and follow up with them. Do some online search for feedback, but be wary that disgruntled folks often rush to submit a poor review that may not be fair or accurate. For a balanced and honest perspective, it’s best to hear directly from someone who has done business with the agent. In addition, the “hard” credentials described above, use your interview to find out if the real estate agent is someone you want to work with, person-to-person. You want to make sure they listen to you, hold your opinions in respect, deal with you honestly and openly, and really understand what you are looking for in a home. Good communication, however, must work both ways: you also want to make sure that you listen to them, that you respect their opinions and expertise, and that you understand the opportunities and limitations that they describe to you. This truly is a relationship that you’re evaluating. The agent wants to make a good sale and have a satisfied client, and you want your agent to be equally satisfied with the transaction. If one of you is unhappy, chances are, both of you will be. Mortgage Investors Group supports customers in purchasing their dream homes. Our reputation for delivering unparalleled service aligns borrowers with the best solution for their financing needs. We offer a diversified line of residential mortgage products, including government and conventional loans. We are based in Tennessee and have nearly 400 employees in 25 offices in seven states who are ready to support your home purchase. Mortgage Investors Group (MIG) is committed to helping Tennesseans fulfill their dreams of homeownership. The company has served more than 125,000 clients in excess of $20 billion since co-founders Chuck Tonkin II and Chrissi Rhea opened a modest lending office in Knoxville, Tennessee, in 1989 with five colleagues. Today, with nearly 400 employees in 25 branch locations from Memphis to the Tri-Cities, MIG is the largest independent provider of single-family residential mortgages in the state of Tennessee. If you're working with a loan officer, please click "yes" and select your loan officer?